Share the gift of coffee and community! Gift Cards can be used in store for specialty drinks and treats. Give a gift, reward an employee, share with a community member – all while impacting your local community by furthering inclusive work environments. While we take pride in our high quality beans and products, we’re much more than a good cup of “Joe.” Joe’s Table Society is a non-profit organization striving to create and promote inclusive communities by providing meaningful employment to individuals with disabilities. 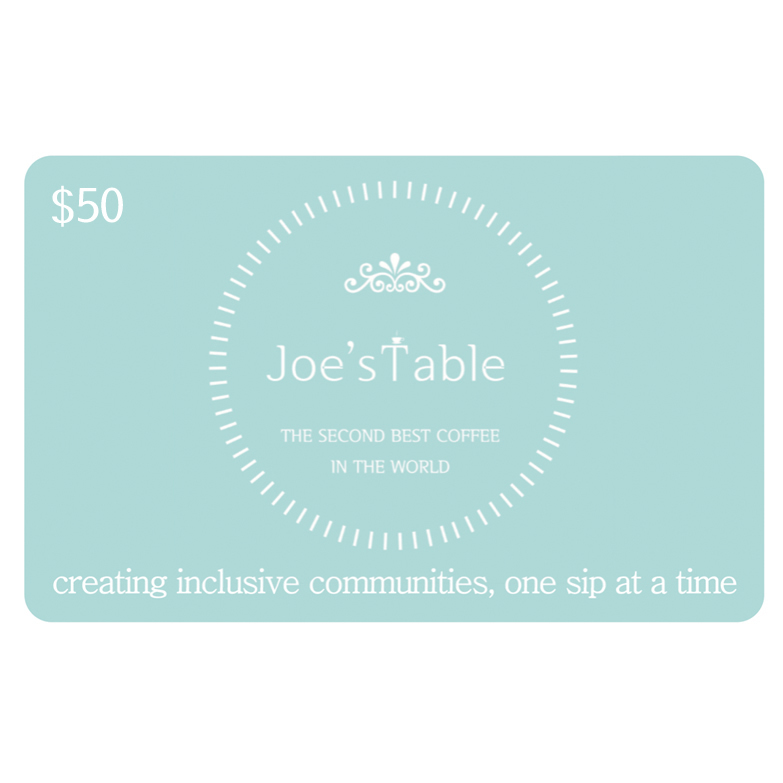 When you purchase Joe’s Table Coffee, you are making an impact in your community. Every dollar spent is used to further our mission, allowing individuals with a disability the dignity of being able to work alongside their neighbor. Thank you for creating inclusive communities, one sip at a time! New location opening soon, stay tuned!